This ramp serviceperson works outdoors on noisy, crowded ramps in all kinds of weather. He or she operates trucks, baggage tugs, conveyors, fork lifts, and other baggage and air freight handling equipment to move baggage, mail sacks, air express shipments and air cargo. In addition to using this equipment, he or she must do a considerable amount of lifting 50-70 lbs., pushing, pulling, bending, and stretching. They must fasten freight under pressure and time. They sort, route and load baggage and air cargo to and from various aircraft in a safe and cautious manner. These materials are loaded in the baggage compartments (belly) of the aircraft. Almost all work is done outdoors and uniforms are required for security purposes. These employees work on arriving and departing aircraft which provides a varying work schedule in accordance to the airlines flight schedule. Shift work is required including holidays and weekends. 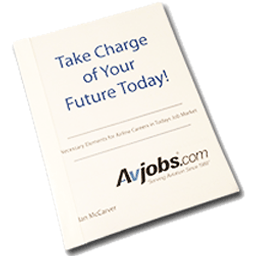 Air cargo handler must be able to lift heavy items in excess of 50 lbs. Must be able to read, write and speak English proficiently. Mush have the ability to accomplish multiple tasks in high pressure, high volume environment. Demonstrated strong communication, organizational, problem solving & interpersonal skills. Forklift driving experience, an asset. Air cargo handelers may move into air cargo specialist, account supervisor or managerial positions.